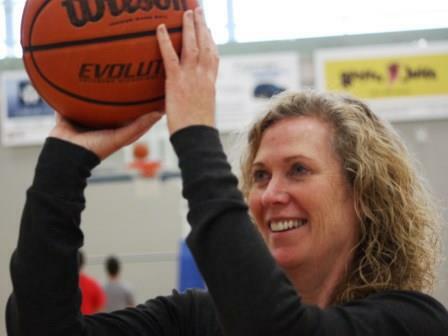 BRANDON, MB – Walk the track, hoist some weights, or shoot hoops with the kids. 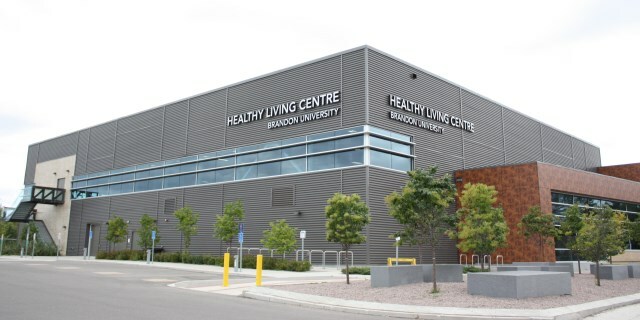 The community will have a free opportunity this week to try out western Manitoba’s state-of-the-art Healthy Living Centre (HLC) at Brandon University, during the facility’s first-ever open house. The $20 million HLC features a trio of gymnasiums, full-equipped fitness room with resistance and weight training equipment, eatery, meeting rooms, and indoor walking and jogging track. The open house will include facility tours, equipment demonstrations, and access to the track and exercise spaces. Participants are encouraged to bring non-marking shoes, comfortable workout clothing, and a lock for the change room lockers. In addition to free admission for the day, all non-members can enter to win a one year membership, and current HLC members who bring a new guest will have a chance to win a renewal membership. “We want everyone in our community committed to a healthy lifestyle,” says Bonar, a six-time provincial curling champion, reigning Canadian Senior Women’s Curling champion, and member of the Manitoba Curling Hall of Fame. The open house is Thursday, September 18, from 6 am to 11 pm. To take part, simply show up and sign in at the HLC Customer Service Centre. A second open house is planned for January 8, 2015, again in partnership with the Healthy Brandon Try it for Free campaign. For more information, go to www.gobobcats.ca/hlc or contact the HLC Customer Service Centre at 204-727-9756. Brandon University, founded in 1899, promotes excellence in teaching, research, and scholarship; educating students so that they can make a meaningful difference as engaged citizens and leaders.